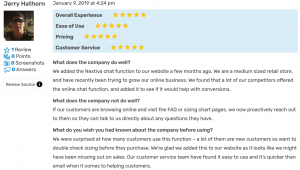 If you’re on the lookout for a business VoIP phone service to streamline communications with your internal teams and customers, you might want to consider Nextiva. 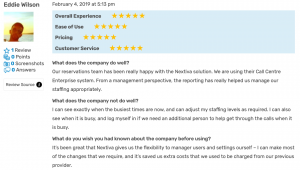 In this post, we go into some of our genuine Nextiva reviews, top features, and pricing. Nextiva is a cloud-based communication and collaboration solution designed to simplify the way businesses communicate. Founded in 2006 on the principle of Amazing Service, Nextiva now serves over 150,000 businesses in the United States. Related: Customer Service is #1 for Nextiva. 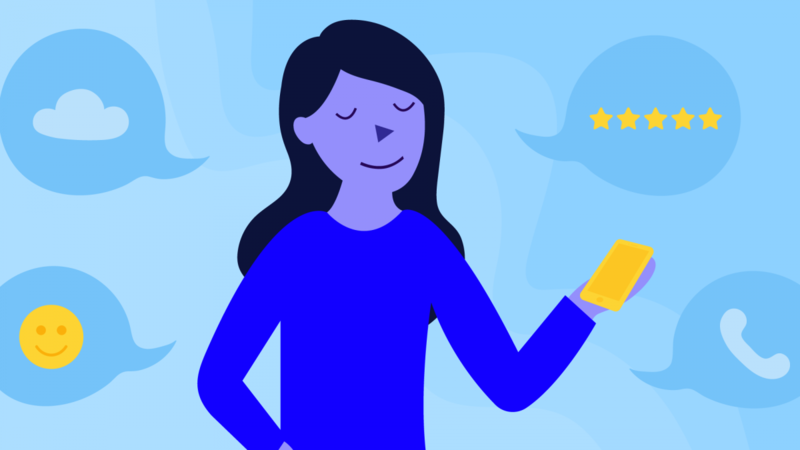 Check out the top 30 customer service tips we swear by! Also, here’s why Shelby American, Inc vouches for Nextiva. Hint: Exceptional call quality and reliable service. – Increased business productivity, profitability and communications processes, all with one new system. 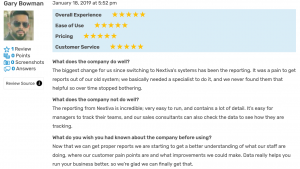 Overall: Highly recommends Nextiva for their overall process, professionalism, and product. 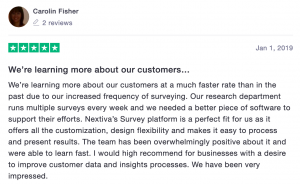 Overall: Happy with Nextiva’s platform, costs, functionality, and timing. Overall: Once we went live with the new systems, Nextiva have continued to be responsive and helpful. Overall: Once you partner with Nextiva you get the impression you’re being brought into something much bigger. It’s really exciting, and fun too. Have you tried NextOS 3.0 yet? Well, the Children’s Museum of Phoenix did and this is what they think. While our individual products work well alone, they work even better together. How? Introducing NextOS. It’s the technology that powers our all-in-one communications platform and there’s no better place to get a pulse of your end-to-end customer journey. Want to see what NextOS can do for you? See our bundle plans and pricing here. Is Getting a Business Phone Number Easy? And so, to make things easier for you, our three-tiered pricing system breaks down exactly what features you’ll get on what plan. Choosing a whole new business phone service or communications platform is no joke. But maybe it’s time to break up with your landline especially considering how much you’ll save in terms of setup time and running costs. Make sure you and your team truly understand how VoIP phones work and how it stacks up against landlines before you make a move. Related: Meet our customers and see how Nextiva helps them get ahead in 2019. Nextiva is perfect for those businesses that need a complete UCaaS solution with custom configurations and on-demand support. Beyond this, we also offer PBX SIP trunking as well as Nextiva Drive for cloud storage. Don’t just take our word for it! See what Conan, West Coast Trial Lawyers, and Bauformat say about us.